The Pro-Trading System has signaled a new short signal in EURUSD. Could we see our Wave 5 completion pattern play out? 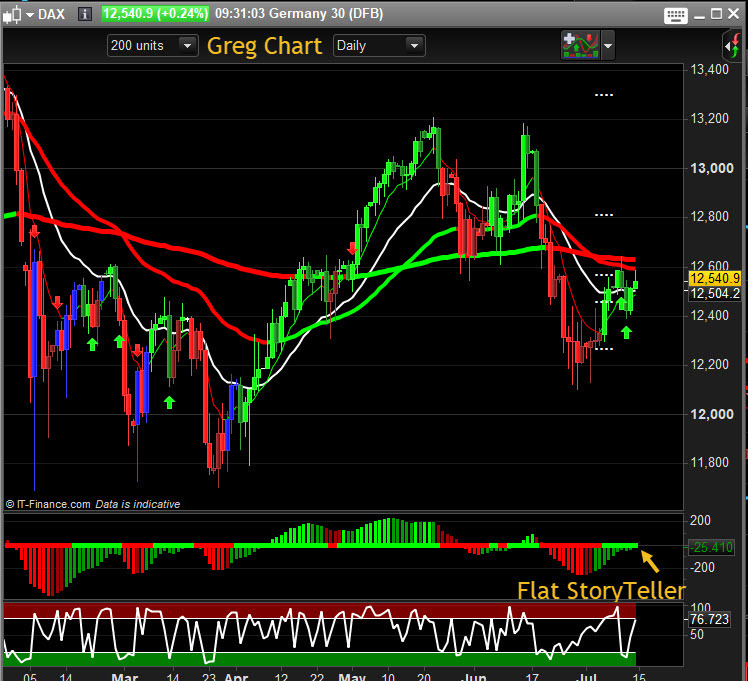 Dax waiting for next Red PTS for huge profit potential. We had a weekly trend predictor down signal for this week and its paid off nicely. 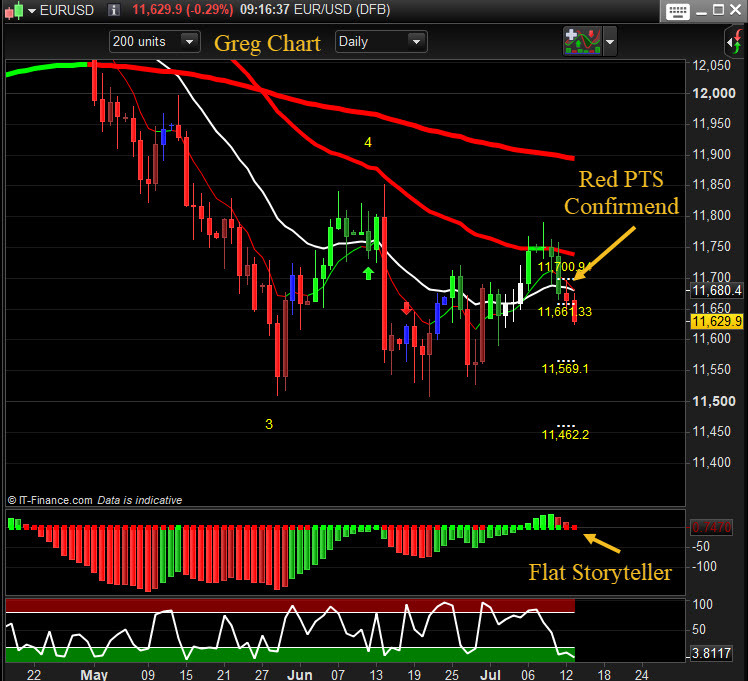 We have our red PTS short signal confirmed, so looking for Wave 5 completion using PTS targets. We have a very flat Storyteller indicator signal. Get ready for some wild moves in this market.